IS CBS HAPPY OR NOT WITH THE WAY STAR TREK IS GOING? Also out not long after were Discovery show-runners Gretchen J. Berg and Aaron Harberts, who were publicly fired. 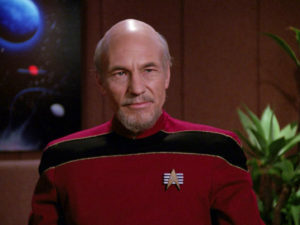 It is not known if Goldsman’s departure was his idea or not…although he is now working on the “Picard Trek” project with the new show-runner of both series (and overall Star Trek “czar”) Alex Kurtzman, so my suspicion is that Goldsman’s move was always meant to be lateral from Discovery to the new Picard production. Anyway, when things are going well, studios tend to generally keep their hands off the top shows and let the show-runners keep making their magic. If a show isn’t doing well, however, that’s when the changes come—in show-runners, cast members, and approaches to writing. Discovery is showing signs of all of the above. In addition to the aforementioned executive turnovers, the news from Discovery is all about the new faces coming to the show—including Anson Mount as Captain Christopher Pike, Rebecca Romijn as Number One, and a feisty new Chief Engineer Denise Reno played by comedienne Tig Notaro. Oh, and Spock will appear this season, as well (although no announcement yet on who will play him). Most of these will be guest stars rather than regulars, but a lot of attention is being focused on them. Did you know that Sir Patrick is 78 years old??? Yep, born in Mirfield, Yorkshire, England on July 13, 1940 (happy birthday three weeks late!). Assuming this new show takes about a year to ramp up (plotting, script writing, casting, set design and constriction, crew scheduling, etc. ), Sir Patrick will likely be entering his 80th year by the time he films his first scene. Now, they might say that “80 is the new 70” (do they say that? 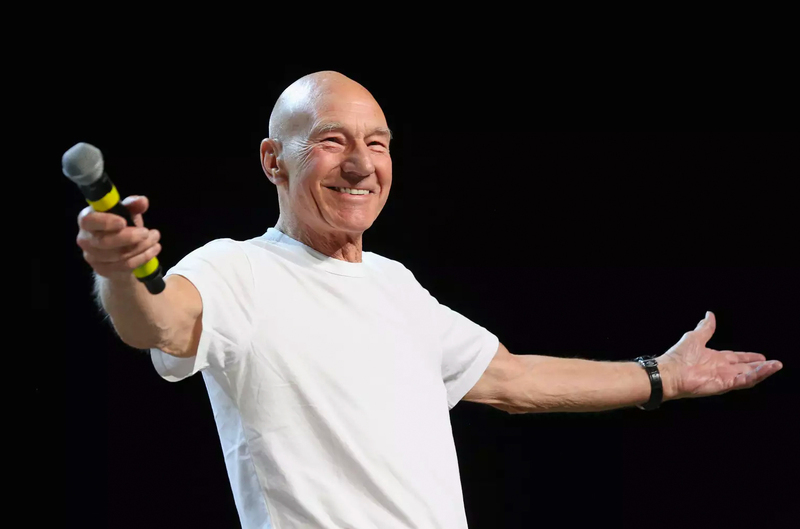 ), and Sir Patrick is still going very strong and looks FANTASTIC for someone who is very nearly an octogenarian, it’s still risky to cast someone so senior in a major role. As a comparison, William Shatner was 77 when he ended his 5-year Emmy-winning run on Boston Legal (although he was 79 when he appeared in the one season of the sitcom $#*! My Dad Says on CBS). So it’s not unheard of to cast an actor of this age on a TV show, but it is admittedly rare. So why Patrick Stewart and not a younger Star Trek alum? After all, Avery Brooks and Kate Mulgrew are both still in their 60s. Most of the casts from TNG, DS9, and Voyager are even younger (only Rene Auberjonois is over 70). Why not one of those “spring chickens”? Sir Patrick Stewart is a HUGE name! And it’s not just because he played Jean-Luc Picard. Stewart is also known the world over as Professor Charles Xavier from Marvel/Fox’s X-Men franchise. His name is a draw for audiences…much more so than any of the other surviving cast members from the various Star Trek series (except maybe William Shatner, but he’s 87 now). And All Access needs more subscribers. It’s not floundering, but it’s not flying high either (or else we’d be hearing it shouted from the rafters at CBS shareholder meetings instead of constantly having subscription numbers for All Access ambiguously conflated with subscriber totals for Showtime). ARE ALL OF THESE MOVES BY CBS ULTIMATELY A GOOD OR BAD THING FOR THE FUTURE OF STAR TREK? On the whole I am excited by the news and especially by the inclusion of Patrick Stewart, not to denigrate the leads of other ST series and not because he is British but he is one of the finest actors in the world. Even if he hadn’t had the role of jean Luc I would be just as excited. One of the many reasons of the success of STTNG was his casting not because of his undoubted acting ability but the way he nurtured and encouraged the other actors in the series and focused their attention on the work not their egos. I can only hope he can pull this off again. I like many people no doubt are worried how the network will handle the new series. It is obvious that they have little understanding of Star Trek or indeed any programming which contains wit or intelligence for example you quoted Boston Legal. They do not grasp the concept that though many audiences are happy with single camera reality series made up of fart jokes, inane pranks or dogs doing tricks. These same people can be inspired, enlightened, educated and entertained by a well written thought provoking show and should be. Most Networks actually insult their audience with their lowest common denominator choices however you could probably produce 100 times as many shows for the same budget and sadly they do. I dont just include the American networks what is happening over in the UK with the BBC is even worse with all their diversity issues and we dont even get the choice to not pay if we want to watch live TV even if it is NOT the BBC. I am hopeful admittedly without any evidence that this new show and STD plus many other non Sci Fi shows will move away from catering to the Jerry Springer audiences and find to their surprise that the majority of people actually love high quality programming. Full disclosure I do actually like Jerry Springer I just can’t understand why people would actually come on the show and allow it to be aired!! Do they have no pride? It has the same fascination as people who slow down to watch a car wreck on the Freeway? I hope I used that word correctly. Some folks just like the garbage called “reality TV”. I’ll answer this simply: There is room for more than one Trek series and neither needs to follow the other. Stay fairly consistent in universe make up yes, but they can be independent of one another and a series with Picard does not mean CBS is not happy with DSC. I think rather, they want to compliment it. And they’re *still* trying to shove Discovery down our throats…and still crying about “subscribers”, not “fans”. What a thinly-veiled money grab. Star Trek is not a cash cow. CBS/Paramount seems to believe otherwise. Long story short, I think you’re over-analyzing this. EXACTLY!!!! Not to mention the recombining and his immediate boss, if that happens, Sherry Redstone. .. they got me now. darn it.. darn it.. darn it.. I don’t care how good or bad it is, if its got Sir Patrick in it I’ll… subscribe..
He’s like a Second Dad to me I grew up on STNG, and he could make anything shine. .. at least he’s getting Executive Producer credit. I am guardedly optimistic about this new show, as I was initially about ST;D, but the misdirections, deceptions (eg: this being in the prime universe) and massive retconning of histories in ST;D concerning the Federation, Vulcans, and Klingons… leaves me not holding my breath. Don’t get me wrong, I don’t intend to keep others from watching or enjoying ST;D, it’s just not for me. this has nothing to do with discovery. They are finally giving the fans who have been complaining about discovery the post voyager series they have been asking for. There is no doubting Picard’s, sorry, Stewart’s, multi-faceted abilities as both an actor and as a draw-card. America has been the birthplace of many great actors, but has anyone noticed just how many top actors associated with US film and television industries throughout their history actually hark from other countries? Sir Patrick is one such example. A plug for my birthplace is prompted by thinking of an early example, Errol Flynn (a prominent but not great actor), as Australia (OK – and New Zealand) warrant listing as having made significant contributions out of all proportions to their small populations. But Britain, especially via the RSC, has consistently been the birthplace of many of the finest actors of all. What is more, so many of them improve with age, particularly their female actors. As an aside, I have very frequently noticed that if a series had a role, or a one-off character, that demanded particularly fine acting, a British actor, not necessarily a “name”, unobtrusively has been used to fill the role. Sir Patrick can be included in this gaggle of top acting talent and I have no doubt his acting ability, along with his charisma, would go a long way toward carrying a new ST series, and in a way that Shatner, even if he was 20 years younger, could never match. Shatner was perfectly suited to his role in TOS, but as an actor, I would hesitate to place his name anywhere near Stewart’s (oops – I just did it!). But within this exposition lies a question. Is it wise to predicate a series on the qualities of an actor? Surely this places the cart before the horse. Yes, there have been plays written for particular actors; operas composed for particular singers – but not a habit, as far as I can recall, in recent times. Those practices relate to an era of extreme idolatry for a performer, an era when people would go to watch a particular actor or hear a particular singer – the vehicle of the play or opera was, in these cases, almost redundant. But in the realities of the present day, surely (“…don’t call me Shirley!”) a series must first base itself on a quality concept with well-conceived story lines. THEN you find an actor/actors to bring the concept and story-lines to life, to attract audiences to watch the product. Then there is the question of the wisdom of concurrently running multiple series based on the same theme. STARGÅTE (well, the symbol is close!) arguably did itself a measure of disservice by doing just that, despite substantial differences between the three series. It will be interesting to observe what emerges. Well call me skeptical, but CBS will find a way to screw this up too. If Disco does better next year, I might revise my opinion. But to date, everything Star Trek has been butchered. Well maybe that’s too harsh? 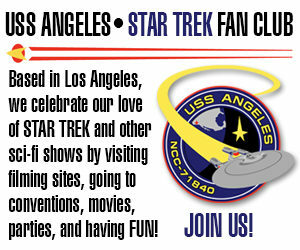 Perhaps the new show will be called STG … Star Trek Geritol? Fans are finally getting the post voyager series they have been asking for. But based on what I have seen cbs cant please people no matter what they do. You can’t get me to watch the NFL for free and people are deliberately paying a mounthly fee for it? Geez. How folks like to waste their hard earned cash. Next thing you know they’ll start paying some rediculously priced lawn service AND then pay to go to the gym to get the exercise they could have gotten by pushing a $250 lawn mower around the yard. Only somewhere around 250,000 and 500,000 viewers? That sounds tiny! The Orville had between 6,130,000 and 9,050,000 viewers, perhaps more! Twenty times as many! Technically, both shows can only report “views” not “viewers.” If I watch Discovery with three friends over, that’s four viewers but only one view recorded by All Access. And keep in mind, my 250-500K number is VERY unofficial. CBS has not been reporting specific views of their shows…only total subscribers. And even then, the reports always leave out attrition (how many subscribers are cancelling). So when I re-subscribe to All Access next January after being gone for 11 months, will CBS report me as one subscriber or two? Technically, I’ve subscribed twice. So if they counted me as two subscriptions, that’s not exactly a lie. But it might be misleading. I am the same person, and if I was one of the 5.5 million combined subscribers (All Access plus Showtime) that CBS reported to shareholders this week, I don’t think I should be counted a second time when I resubscribe in January.